Central Library Coventry. Picture by Creative Commons Licence. CUTS to libraries across Coventry under the latest council savings plans have been condemned by a city union as ‘another nail in the coffin’ ahead of City of Culture 2021. As we reported last month, Coventry City Council is set to reduce staff and resources at Aldermoor, Caludon, Canley and Coundon libraries. Cabinet member for education, Councillor Kevin Maton, gave the go-ahead to the plans last Thursday. It is hoped they will save £319,000 a year. The changes will reduce the number of librarians, and introduce single staffing at some locations. There will be a so-called ‘Library Express’ self-service. Trade union branch Coventry City Unison, which represents staff, slammed the proposals as an ‘express service to nowhere’. A Unison spokesperson said: “What an express model would look like for service users was not detailed. “What was also not consulted on, either by staff or the public, was to introduce single staffing in four libraries – Aldermoor, Caludon Castle School, Canley and Coundon. “We have a major concern over the safety and wellbeing of the staff and users of the libraries if they were single staffed. “The proposed annual cost saving alone of £319,000 for libraries is less than the costs for the Godiva Festival at £460,000. “The Godiva Festival is a wonderful thing for Coventry, and so are libraries which are open and available all year round. “Libraries should be at the heart of our community, not marginalised and under resourced. Council chiefs have said the alternatives could have included closing some of the city’s 17 libraries, or reduced opening hours. The council introduced the Connecting Communities programme in 2015/2016 which resulted in some library services moving to shared premises, being run by volunteers, and some closures. Volunteers now run Earlsdon, Cheylesmore and Finham libraries, where there are fears of further damage to services. Arena Park Library was axed and closed in 2016 – less than a decade after it was created as a replacement for the former Holbrook Library. The council has already saved more than £1.2million in the first two phases of the scheme, a council agenda report states. ‘Single staffing’ will involve one worker, sometimes supported by a mobile and flexible team of staff travelling between libraries. 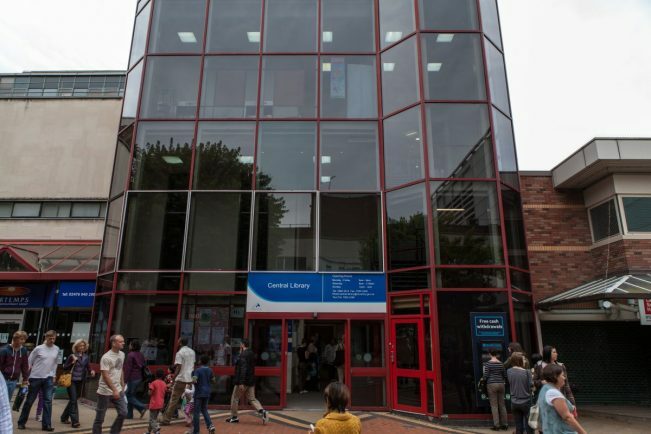 Services at Central Library, on Smithford Way, city centre, will be reduced to relying on self-service and limited staff supervision from 9-11am Monday to Friday and on Sundays. The report also states the council could scrap almost all hard copies of newspapers and magazines, making titles available only in digital format. These changes are set to come into force from April.